Doctors stage mesothelioma according to factors that indicate its progression. These stages range from stage 1 (most treatable) to stage 4 (fewest treatment options). How Advanced is My Diagnosis? Doctors perform tests to determine what stage, or how advanced, the cancer is in after the mesothelioma is discovered. This is accomplished by examining the patient by means of X-rays, CT scans, or other diagnostic methods. The purpose of these tests is to see if the cancer has spread beyond the point of origin. The spread of cancer is known as metastasis. Cancer is localized to one side of the body. There is no metastasis or lymph node spread, and curative surgical treatment is still an option. Stage 1 patients have the best life expectancy. Cancer is still localized to one side of the body. The tumor has grown past point of origin, but there is minimal lymph node involvement. Curative surgery is still an option. Cancer is still on one side of the body, but the tumor has spread to surrounding organs and lymph nodes. Palliative and non-surgical treatments are typically used at this stage. Cancer has spread to both sides of the body, tumors have spread to multiple organs and has spread through lymph system and blood vessels. Palliative, radiation and chemotherapy treatments are available. The primary factor in staging mesothelioma is the level of metastasis. The further the cancer has spread from the original site, the later the stage. There are different staging systems for categorizing early stage to advanced mesothelioma. Knowing which stage the cancer has reached is vital to determine the best treatment plan for the patient. Patients should always seek a second opinion after their cancer is staged. 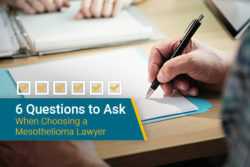 The different stages of mesothelioma provide boundaries for physicians as they recommend treatment options. Pleural mesothelioma is classified from stages 1 to 4. Stage 1 pleural mesothelioma is localized in the pleura. As the cancer spreads farther away from its point of origin, the stages advance. Stage 1 pleural mesothelioma is categorized by the lack of metastasis and is divided into stages 1A and 1B. Stage 1A involves only the outer layer of the pleura (parietal). As the cancer metastasizes into stage 1B, the inner layer (visceral) of the pleura becomes affected. 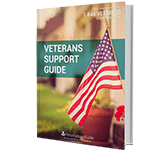 Curative treatment options are available for stage 1 patients. Stage 2 pleural mesothelioma has begun to metastasize to other areas of the chest wall and lungs. It is still only localized to one side of the chest. Stage 2 is considered the first advanced stage of mesothelioma due to its metastasis. Treatment options in this stage still include surgery such as an extrapleural pneumonectomy or pleurectomy, but are more limited than stage 1. Stage 3 pleural mesothelioma hasn’t spread to the other side of the chest, but there is definite metastasis to the lymph nodes. Stage 3 is more locally aggressive and may have also spread to other nearby organs. Surgery is not always a treatment option for stage 3 patients. Stage 4 pleural mesothelioma is the most advanced stage. Patients may experience more serious symptoms such as difficulty swallowing and coughing up blood. Treatment options are mainly palliative due to the aggressive nature of the cancer at this stage. The main treatment options for stage 4 patients are chemotherapy and radiation. There is no accepted system for staging peritoneal mesothelioma. This type of mesothelioma is clinically defined by whether it is localized or metastatic. However, doctors may label peritoneal mesothelioma with a stage they feel is appropriate based on how much the cancer has metastasized. For example, mesothelioma survivor Alexis Kidd was originally diagnosed with late stage peritoneal mesothelioma, and her cancer was considered inoperable. After a second opinion, the new doctor determined the mesothelioma hadn’t metastasized as much as originally believed. She was then diagnosed localized mesothelioma because her doctor considered it operable. Peritoneal mesothelioma is tricky to stage because of its erratic behavior and the complexity of the abdomen. It is often confused as other abdominal cancers and can be hard to determine the level of metastasis. 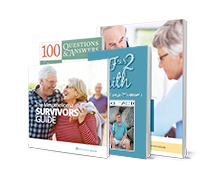 Learn how survivors like Alexis Kidd beat the odds in our free Mesothelioma Survivors Guide. Getting a second opinion was essential to Alexis Kidd's 6+ years of survival because she was initially diagnosed with "late stage" peritoneal mesothelioma. Cancer spreads in three ways: by invading the surrounding tissue, the cardiovascular system (blood), and the lymphatic system. Metastasis is the result of this unchecked growth, and can cause secondary tumors in other organs and parts of the body known as metastatic mesothelioma. Cancerous cells do not receive signals from healthy cells that tell them to stop growing. 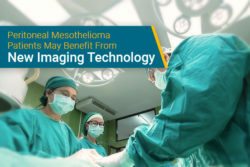 Mesothelioma becomes more advanced when the cancer enters the blood stream or lymphatic system, allowing the cancer to spread to distant organs or lymph nodes. Metastasis in the lymph system is more complicated than in the tissue or blood systems. Lymph nodes are connected by lymphatic vessels and are a vital part of the immune system. The lymphatic system is complementary to the cardiovascular system. Like the cardiovascular system is made up of blood vessels and capillaries, the lymphatic system is made up of lymph vessels and capillaries. Cancer spreads through the lymphatic system in the same way. The main difference is the cardiovascular system doesn’t have nodes, which are clinically important in staging. When an infection or cancer reaches the lymph nodes, the nodes start manufacturing an abundance of white blood cells to fight it. This production of cells leads to the swelling of lymph nodes. This is a good way to track the direction of, or determine the existence of, metastatic cancer. Unlike cancer that invades the blood stream, cancer in the lymphatic system must stop at these nodes along the way. Staging systems help determine how advanced a cancer is and the impact that advancement has on prognosis. Three common systems used for staging pleural mesothelioma are the Butchart, the Brigham and TNM. Developed by Dr. Eric Butchart in 1976, the Butchart System is the original mesothelioma staging system. It consists of four stages and focuses on the location of the main tumor, rather than the number of cancer cells, the spread of cells, or tumor size. The Brigham System, developed by Dr. David Sugarbaker while at Brigham & Women’s Hospital at Harvard, determines the likelihood of surgical options. It is a four stage system that takes location, size, and spread of the cancer into account. Stages one and two are candidates for surgery. The Brigham system is very similar to the TNM system. The TNM System is the most commonly used system. 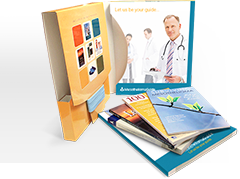 It was developed by the American Joint Committee on Cancer (AJCC), is similar to the Brigham System. It evaluates the tumor (T), spread to the lymph nodes (N), and metastasis (M), placing the patient in one of four stages. What is the Next Step After Staging? After a person is diagnosed with mesothelioma further tests are performed to determine the extent of the cancer. This is known as staging and is based on the metastasis of the original tumor to other tissues and organs in the body. Staging the cancer allows doctors to target appropriate treatment plans for individual patients to improve their prognosis. Patients should always consider getting a second opinion from a mesothelioma specialist. Second opinions may provide new treatment options to extend life. Get connected to a specialist today using our free Doctor Match program. How is Malignant Mesothelioma Staged?. American Cancer Society. Retrieved from: https://www.cancer.org/cancer/malignantmesothelioma/detailedguide/malignant-mesothelioma-staging. Accessed: 10/10/18. Gutman, H. (2011). Lung Cancer and Mesothelioma. Xlibris. Galateau-Sallé, F. (2005). Pathology of Malignant Mesothelioma. Springer-Verlag. 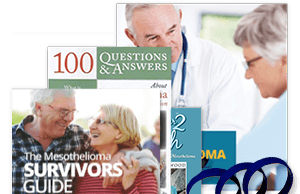 Mesothelioma: Tests and diagnosis. Mayo Clinic. Retrieved from: https://www.mayoclinic.com/health/mesothelioma/DS00779/DSECTION=tests-and-diagnosis. Accessed: 10/10/18. 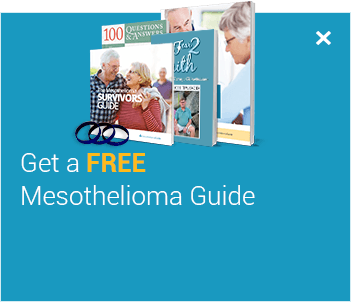 Mesothelioma Workup – Staging. 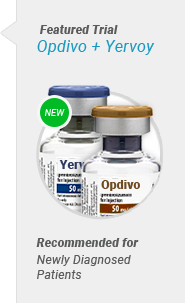 Medscape Reference. Retrieved from: http://emedicine.medscape.com/article/280367-workup#aw2aab6b5b4. Accessed: 10/10/18. Department of Thoracic Surgery – Mesothelioma. Vanderbilt University. Retrieved from: http://www.mc.vanderbilt.edu/root/vumc.php?site=thoracic&doc=3594. Accessed: 10/10/18.